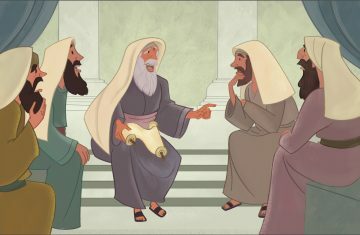 All of God’s Unfolding Story for Older Preschoolers curriculum is now available for free. If you have questions about the curriculum or have a suggestion for future curriculum development, please contact us and we’ll do our best to help you and get you what you need. We see in the pages of Scripture that God’s unfolding story is moving toward a climax. While we as New Testament believers wait for Jesus’ return, believers in the Old Testament waited for His initial arrival. In this seasonal study of Jesus’ incarnation, even in the midst of a study of Old Testament events, it is helpful to keep the Old Testament perspective in mind. Sin deeply marred the perfect world God had created, but God would send His Son to implement a plan of redemption and restoration (Gen. 3:15). Even preschoolers can understand that God was preparing His people for Jesus’ coming, and that when God’s Son finally came to earth as a baby, it was right and proper to welcome and worship Him. Accordingly, we rejoice over His arrival and worship Him today! Lessons in this unit are listed below. Just click on each lesson title to access the individual lessons. Jesus’ birth was no ordinary birth. 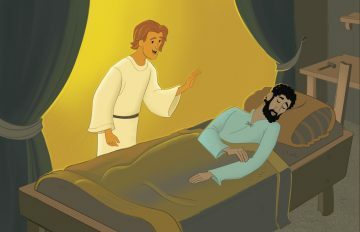 In this lesson, preschoolers will explore one of the things that points to Jesus’ uniqueness—prophecies that foretold his birth hundreds of years before it occurred. 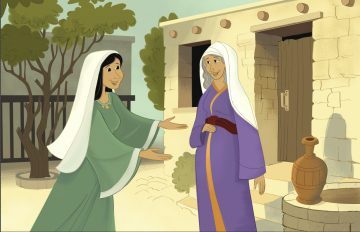 When Mary heard that she would become Jesus’ mother, she was overwhelmed, but she trusted God regarding all she didn’t understand. Like Mary, we can thank God for His plan to bring Jesus into the world. Joseph faced a dilemma, but God told him what he needed to know to resolve it. Thankfully, Joseph obeyed God. The Lord had placed him in a strategic position indeed; and we can be thankful for Joseph’s response. Shepherds who were watching their flocks near Bethlehem received a special birth announcement. Angels told them that Jesus, who was God’s Son, the Messiah, had been born. This lesson tells their story. 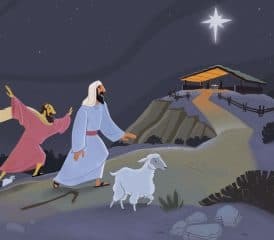 The wise men followed a star, which helped them locate Jesus in Bethlehem. They gave Him gifts and worshiped Him. This free lesson tells their unique story for older preschoolers.